Thanks! I'll probably get around to doing the whole team, but Microwave and the Ant were my favorite members. Inspired by Jab's Legion of Superhero builds and a couple of conversations over in said thread, I decided I'd try my first "themed" set of edits. Previously I just edited whatever I needed for a certain image or project, but now I've decided to take a stab at doing a series of edits specifically around a central concept, and see how that goes. The theme this time, natch, being the Legion. 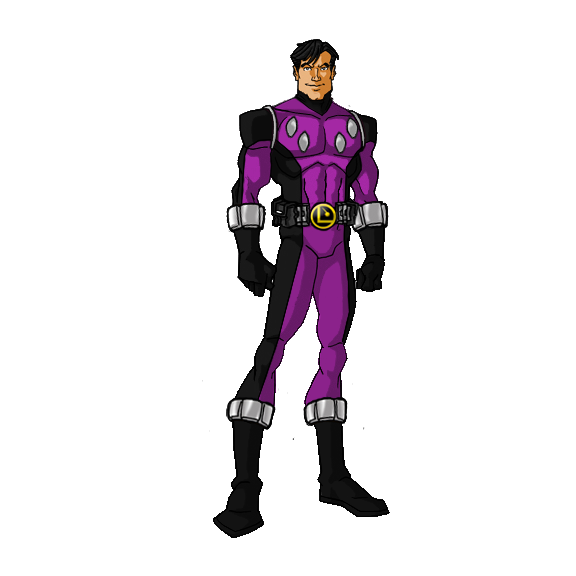 For this, I'm going to put my own spin on the Legion's looks, basing them off the idea introduced in the Legionnaires series with the Legion having individual costumes, but having a similar theme that made them all "fit" together. It works with idea of the Legion being this big galaxy spanning organization, as well as a club for teenage superheroes. With some of the following edits I might include some commentary regarding the design choices, since this is my own "take" on the Legion outfits. 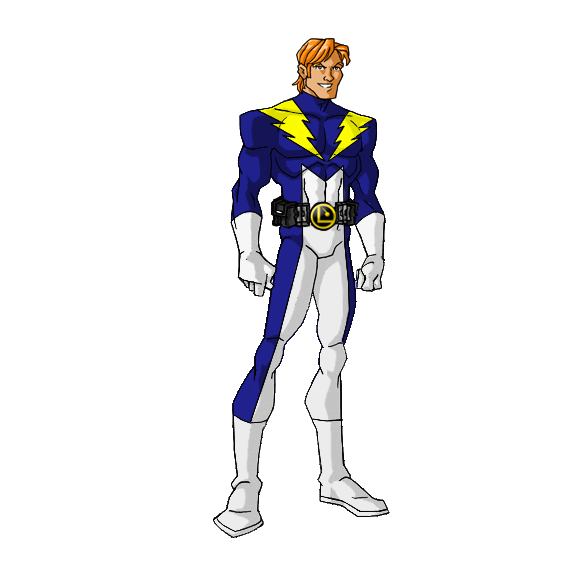 Thoughts: Lightning Lad is first basically become he embodies exactly what I'm going for with this set of edits. 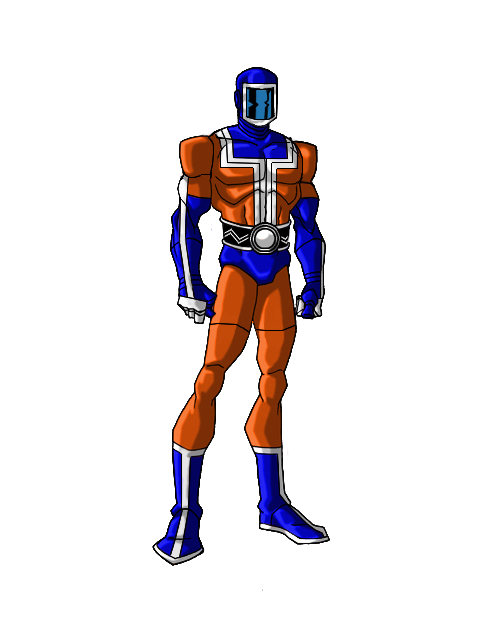 It's his Legionnaires/reboot Legion outfit completely unchanged, because it did exactly what I'm setting out to do: take something classic and make it uniform. For Garth, all they did was take his 80s costume, make the boots white and give him the iconic Legion Belt everyone has. It's simple but unique, and for this team, that makes it perfect. Thoughts: Cos is here to show that I won't always be sticking strictly with the re-boot outfits. Here I wanted to sort of combine the reboot outfit with some elements of his 80's outfit. I liked the reboot idea that the metal bits of Cos' uniform are there in case he doesn't have much available metal to work with, so he can use the ovoids on his chest as ranged attack weapons. That concept worked well with the metal glove and boot decorations on his 80s outfit, so I combined them both together. 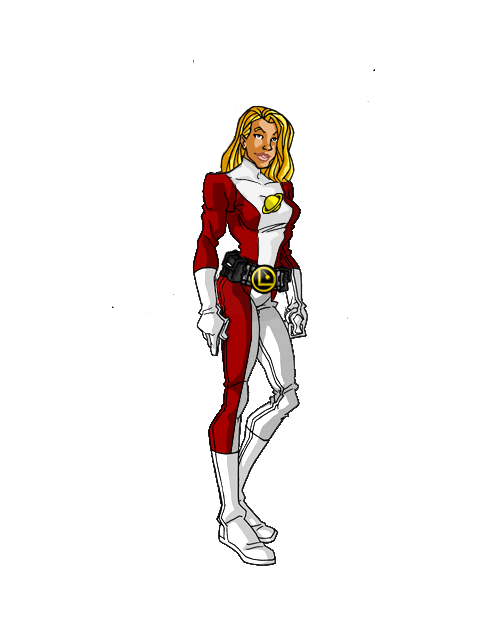 Thoughts: Saturn Girl is sort of a compromise between the other two founders, in that her outfit is basically her reboot costume, but with her original red coloring. I'm not against pink costumes, but Saturn Girl's original outfit was a deep red, and overall I think it fits her better. And I decided to throw the pink outfit in at Batgirl's request. And I'll admit, it isn't really bad at all either. I might have to rethink my previous position. Maybe the Saturn chest emblem could be done in pink? 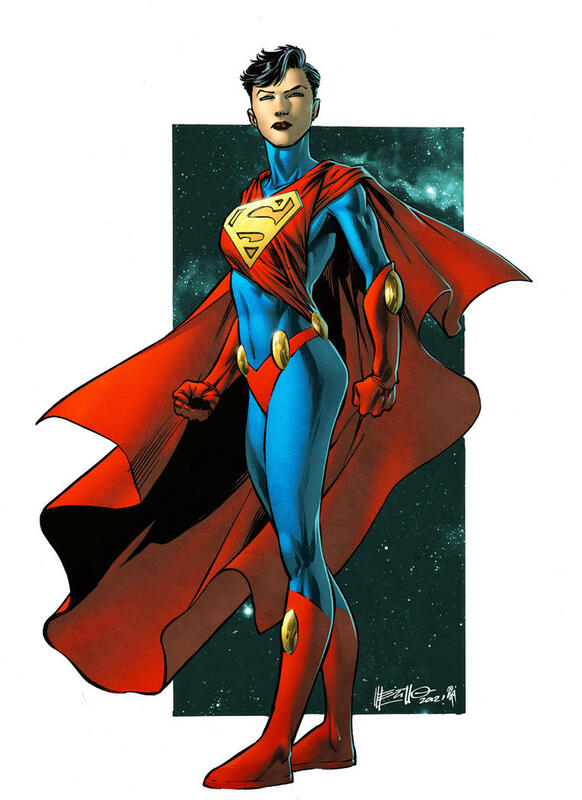 Gold/yellow on silver/white is a major no-no in heraldry/vexillology anyway and I tend to think superhero costumes should follow (most) of the same rules for the same reasons. 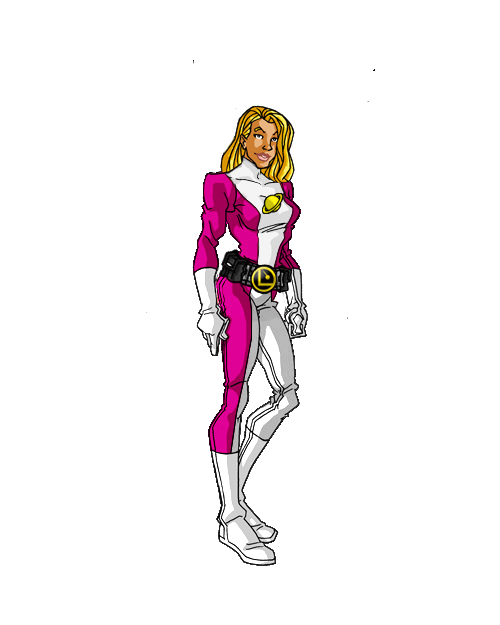 Maybe replacing Saturn Girl’s pants with a knee length skirt (which she’s had in some of her costumes) could add that feminine touch, but keep the red? Hmm... might I borrow some of these for visual reference over in a certain game ? By all means. I'm going to use them in my Multiverse: The Animated Series thread, but if anyonr here likes any of these edits enough to use them, feel free. Hell, I might start taking requests. Laurel Kent that isn’t an itty-bitty black bikini or a naked girl in a semi-translucent poncho. My personal favorite redesign of laurel is this one. Ask and ye shall received. You made a valid point, so I edited in a pink version into her post. I'm planning on doing a most of the Legion, but I'm going through by order of when Wikipedia said they joined, so it'll be a while. Still, I'll get to her when they can. Hmmm, thinking about it, I'm tempted to make her the "Andromeda" of my home setting, since I thought her interaction with SW6 Brainiac 5 was just adorable. In that case, you'll never get to her. She never joined the Legion! In the original continuity, she was kept out because "Invulnerability" was her only power and it wasn't unique, she never graduated from Montauk Point. In the Post-Crisis version of the LSH, she was retconned to have been a Manhunter android! In both the Post-Zero Hour and Post-Flashpoint version of the DCU, she simply doesn't exist. Aww, I liked the pink. "I like pink very much, Lois," Superman, Superman, 1978.